Read Customer Reviews as an allergy or asthma sufferer, you no doubt know that some plants aggravate your symptoms. A case in point is the 2006 study by Mahillon, Saussez, and Michel of Belgium that found that nearly 80 percent of participants in the study had positive results of skin prick tests to at least one plant tested, and the most frequent plants that caused sensitization were Ficus benjamina, yucca, ivy, and palm tree. 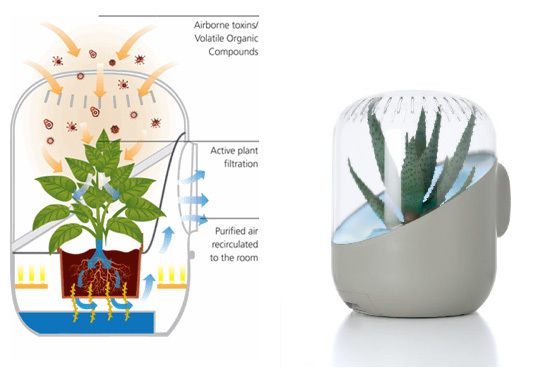 What if you could populate the inside of your house, however, with plants that actually help your symptoms? A 1989 NASA study found that several plants can actually help reduce indoor pollution. The Knox County, Tennessee Master Gardener organization points out that the new emphasis in energy efficiency that results in tightly sealed spaces and synthetic building materials ends up causing pollutants to be trapped in buildings that are not well-ventilated. Five of those plants and their air-scrubbing properties are listed here to help you create a cleaner indoor environment and thus to potentially improve your health. 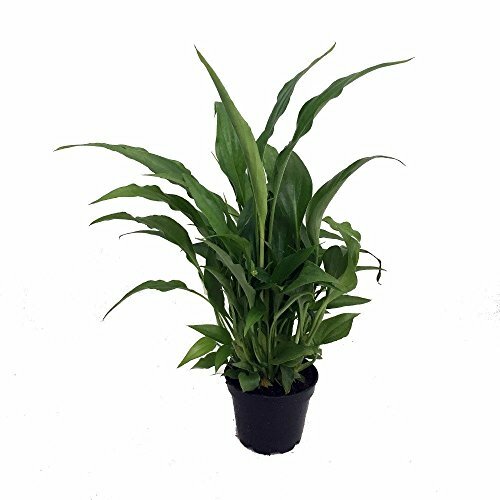 The Peace Lily, or Spathiphyllum, is an evergreen that is pretty easy to take care of. They don’t need a lot of water or light to grow well. 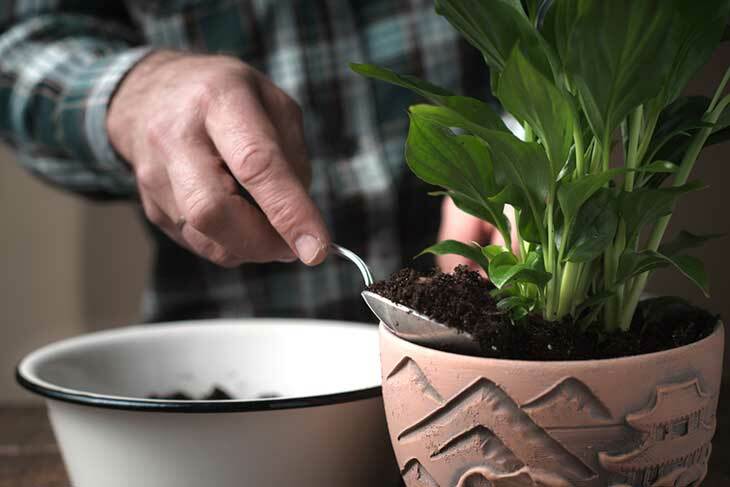 The leaves will start to droop a bit when they need water, and then you can just add a bit. If you put it in direct sunlight, it may cause the leaves to burn. This plant is the best at ridding the air of formaldehyde, trichloroethylene, and benzene, which are Volatile Organic Compounds, according to the NASA study. One drawback of this plant, though, is that it is somewhat toxic to both humans and pets. You can feel nauseous, have trouble swallowing, or have a burning feeling in your mouth or on your skin if you ingest any part of this plant. There are about 30 different species of the Peace Lily, and some of them are native to South and Central America. Two species actually grow in Malaysia natively. One of them is even native to both Costa Rica and the Philippines. It grows in the understory of humid rainforest environments. 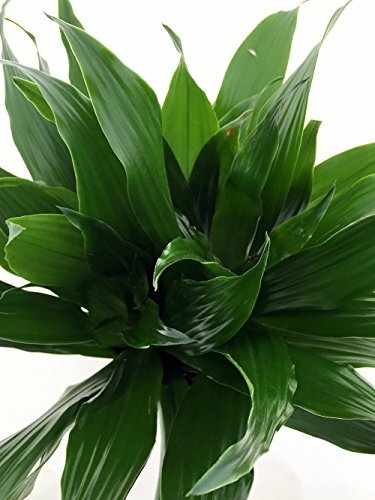 The Janet Craig Dragon Tree, or Dracaena Fragrans, is one of the easiest house plants to grow. It is a floor plant that hails from tropical regions. It does very well indoors. As the plant grows from a group of upright leaves, it creates a stem like a cane with a group of leaves at the top. The leaves are of a dark-green hue and are shiny. It can grow tall, so prune it back if it starts to overtake your space. This is best done in the spring or at the beginning of summer. Simply cut the cane at the top if you want to control its height. It will just grow new leaves where you cut it. You can grow more of them by using stem cuttings. This plant wants indirect, but bright, sunlight and not overly-wet or –dry soil. 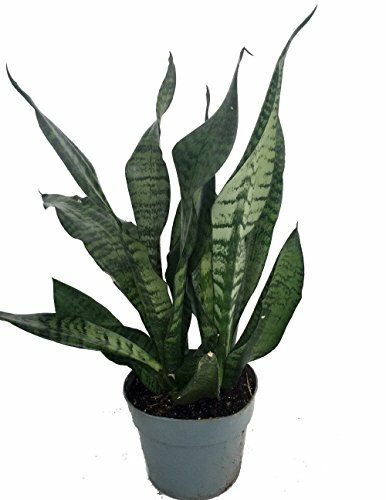 Also known as the Snake Plant, this evergreen perennial is one of the most efficient for removing toxins in the air, such as nitrogen oxide, benzene, xylene, trichloroethylene, and formaldehyde. It is native to Western Africa and has become rather popular in recent decades around the globe. It was thought in China, that the Eight Gods gave their eight virtues to those who grew them. The Sansevieria trifasciata has is a good plant to grow inside because it can handle low light for long periods. It likes to have lots of bright light, however. This plant does not usually do well if it overwatered as it tends to rot in soil that is too wet for too long. The Mother-in-Law’s Tongue has the potential to be toxic when ingested, so keep pets and children away from it. When it gets really big, it has been known to split its earthen pots. The Chinese Evergreen, or Aglaonema is another great, low-maintenance plant that is good to grow indoors to help clean your home’s air. It grows well in low-light, indirect light conditions, and you just have to water it when it’s dry. That amounts to about once every few weeks. The Aglaonema is a very popular houseplant, and you can find it in lots of varieties. Many varieties have silver patterns on their green leaves. It can also blossom with calla-lily-like flowers when it gets enough light. 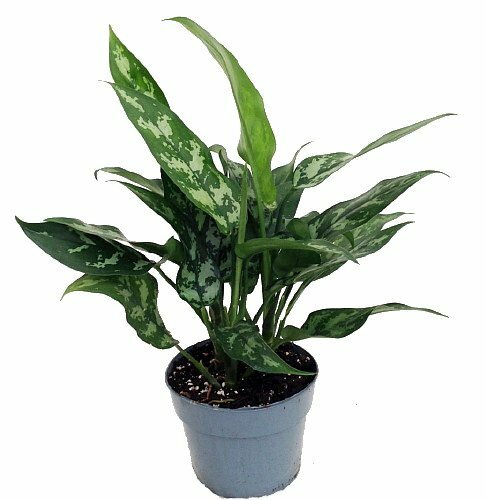 The Chinese Evergreen can complement any indoor decoration style and palette as it features neutral colors. It also likes somewhat humid conditions and warm temperatures, but it can handle less-than-ideal conditions. It is good at helping to rid indoor environments of benzene and formaldehyde. 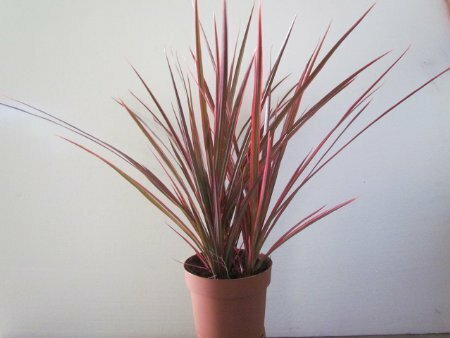 The Dracaena Marinata Colorama is a three-colored Dragon Tree houseplant that is easy to grow indoors. It can grow in low light, and you don’t have to water it until it is a bit dry. It has cream and yellow stripes on green leaves. The leaves are narrow, and the plant can grow as much as 18 inches year each year for the first few years of life of the plant. It can reach as high as 10 to 15 feet. These plants start out as table top plants, but they can quickly become a floor plant. Just cut off the top to the height you want to control its growth. New shoots will appear at the cutting point within a few weeks. If you put the plant in too much light, the leaves can get brown spots. The leaves turn a lighter color when they don’t get enough light. They do best at between 65 and 75 degrees Fahrenheit. Overwatering a Dragon Tree plant is likely to kill it. The base of the pot should not sit in a saucer of water. Any of these plants should be perfect to help rid your home of airborne toxins that come from building materials and in poorly-ventilated buildings. They are simple to care for and can significantly decrease some of your symptoms. These plants are from tropical or sub-tropical forests, and they received little light that was filtered through taller trees. They are able to photosynthesize well in low-light conditions. This enables them to process gasses in the air efficiently. Another significant factor in the use of plants to clean your home’s air is soil and roots. Soil microorganisms become good at utilizing the gasses as food. If you remove lower leaves over the soil surface, their effectiveness improves even more. A fan was used in the NASA study to quickly transfer large quantities of air via an activated carbon filter that absorbs the pollutants until the roots and soil microorganisms are able to use them for food, which bioregenerates carbon. Your houseplants will remove trace pollutants from the air even without these add-ons. Try using 15 to 18 good-sized plants in 6- to 8-inch diameter containers for an 1,800 square foot house.